Google Glass has come under new pressure today, as it emerges that drivers will not be allowed to use them whilst driving. Enhancing existing car navigation had been one of the publicised benefits of Google Glass, but drivers caught using them are to be fined in the USA, with the UK likely to now follow suit. Such legislation outlawing the use of Google Glass whilst driving is being investigated on both sides of the pond. The latest wearable tech gadget has already come under pressure for a number of reasons, chiefly privacy concerns. Its feared that the tech could be used errantly, allowing unlawful surveillance of people going about their everyday lives. When it comes to driving, it is feared that Google Glass could be as larger distraction as texting. Whilst the device overlays information over the transparent glass, it still encourages users to divert their attention away from the road. There have already been stated incidents of users bumping into objects, or other people, whilst walking around using the device, and this all comes prior to the full launch. 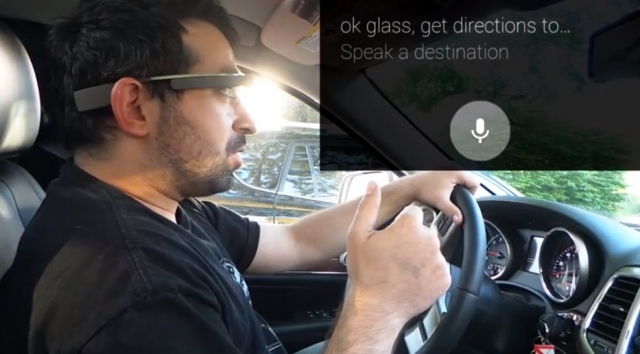 The case against Google Glass and driving stems from a CNET review of the device. On the back of reading this review, A member of the West Virginia House of Delegates decided to take action, and bring forth a bill to ban them. Interestingly concern also stems from the likely uptake of Google Glass by the (typically younger) early adopters. In a letter to Cnet, the Delegate stated “it is mostly the young that are the tech-savvy that try new things.” and as such the device would be even more dangerous to drivers. will become a fixed penalty offence later this year. All of this points to drivers being banned from using them on both sides of the pond. Whilst Glass clearly has the potential to be a great navigational aid, i believe that they are right to be banned. I recently tried a pair of Glass and it is noticeably difficult to walk around in a coherent way whilst interacting with the device. I’m therefore all for keeping them away from our roads. Have your say below in the comments.